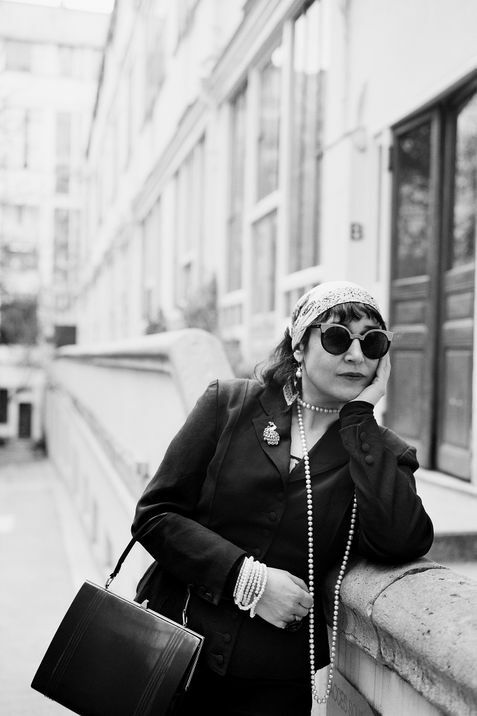 Edith de Belleville has turned a love of books, literature, art, and a passion for Paris into an unlikely second career. Her name is not actually Mademoiselle de Belleville, it is her nom de…well, not plume. Nom de journée? 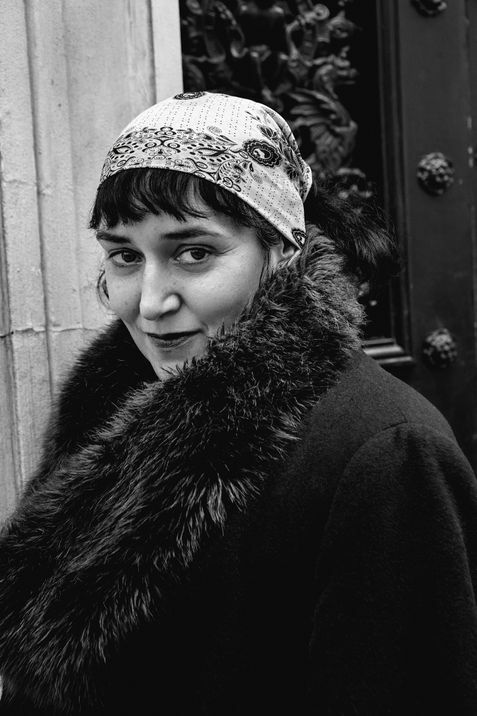 A lawyer by another name by day, Edith, born in the Belleville neighborhood of Paris, is a weekend tour guide, taking foreigners through the nooks and crannies of her beautiful city. Her belle-ville. She also currently appears on a show about influential French women in history, hosted by Ollie George at RFI Radio France Internationale. “I am a lawyer during the week and tour guide on weekends. I have the feeling of being double, as if I have a double life,” she says. That said, she admits she rarely reads novels except for classics. The former studio of surrealist photographer, Man Ray. A frequent stop, regardless of the author who is the tour’s theme, is Café de Flore. Edith de Belleville reads her Kobo at Le Select; one of several cafés in Montpamasse frequented by artists and literary figures in the roaring 20s. 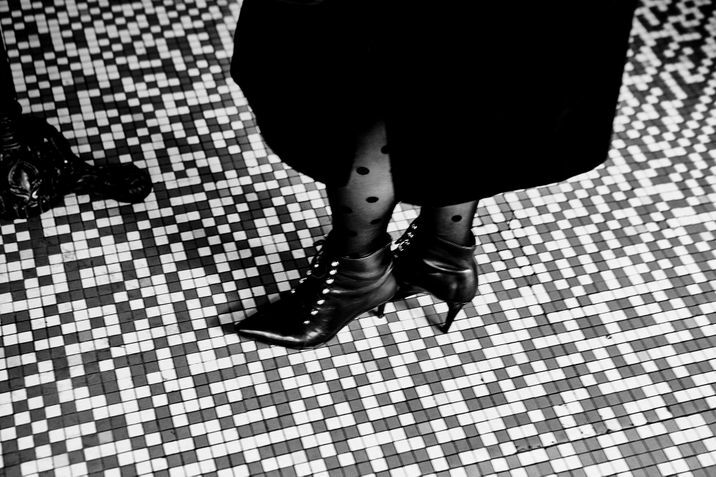 Edith stands on the original tile floor at Le Select. The same floor where Ernest Hemingway would have stood almost a century ago. To fully understand Paris, Edith recommends starting with A Moveable Feast by Ernest Hemingway. That said, she suggests that to really get a feel for the place, a visitor must read books written by the French, translated if need be. 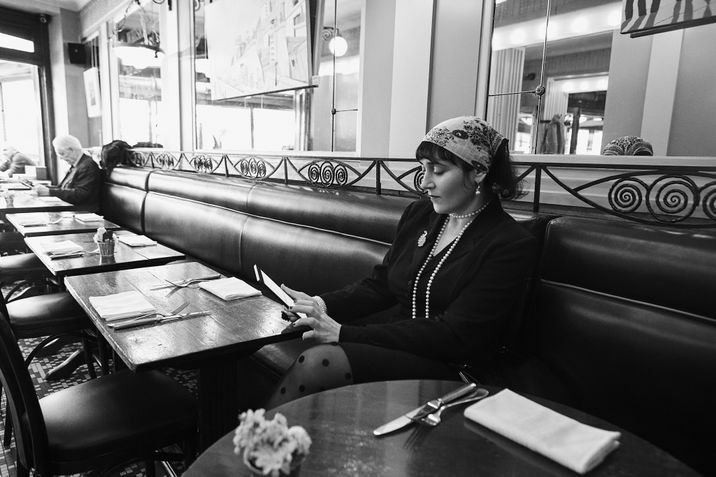 Books and literature are integral to Paris life, and with two, almost three, jobs, Edith has to fit reading into her day wherever and however she can. In which case, of course, you must meet Edith de Belleville and take one of her tours. 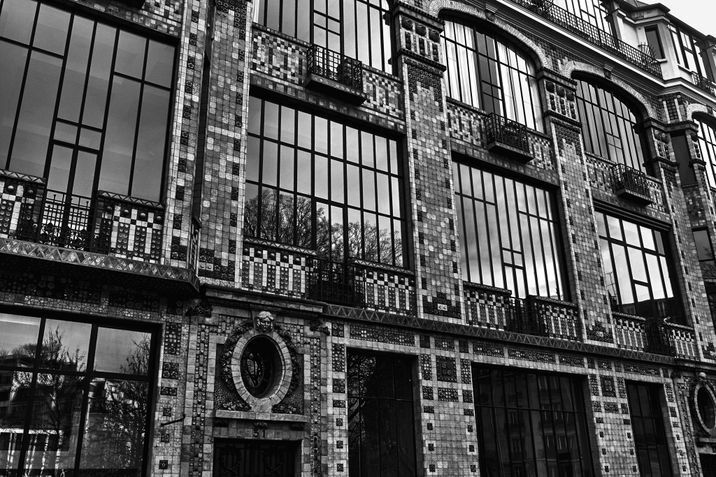 Want more Parisian content? Read "Paris in the springtime".